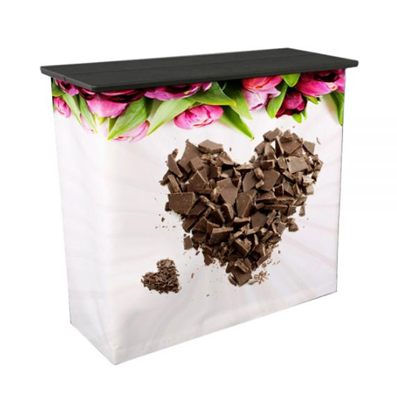 Square Portable Trade Show Counter with Printed Artwork - Dino Rentos Studios, INC. 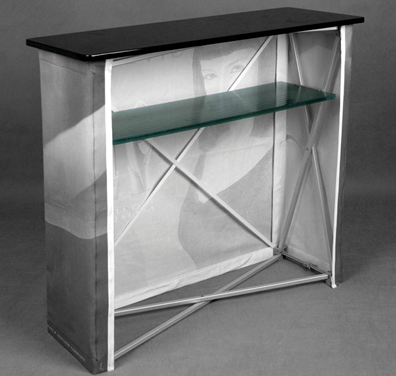 This Square Portable Trade Show Counter with Printed Artowrk is a great addition to any Tradeshow or Convention Displays. • Stylish design, convenient portable counter with timber top. • Full Color Printed Banner included.